I've developed a bit of an iPhone case problem - to go with my iPad case and satchel problems. It seems that one single addiction is never enough for me. In the last week I've been tagged twice on Pinterest by friends who came across this awesome iPad case. I quite simply love it. After a quick search I tracked it down to the Marc Jacobs Winter Cruise collection. Alas, it's not available for the iPad mini (sad face). 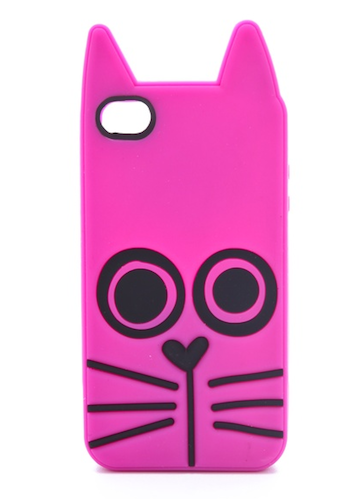 After a bit more digging I found it as an iPhone case :) and then I found this.... exclusive to Shopbob.com a kitty version. But which one do I choose? !